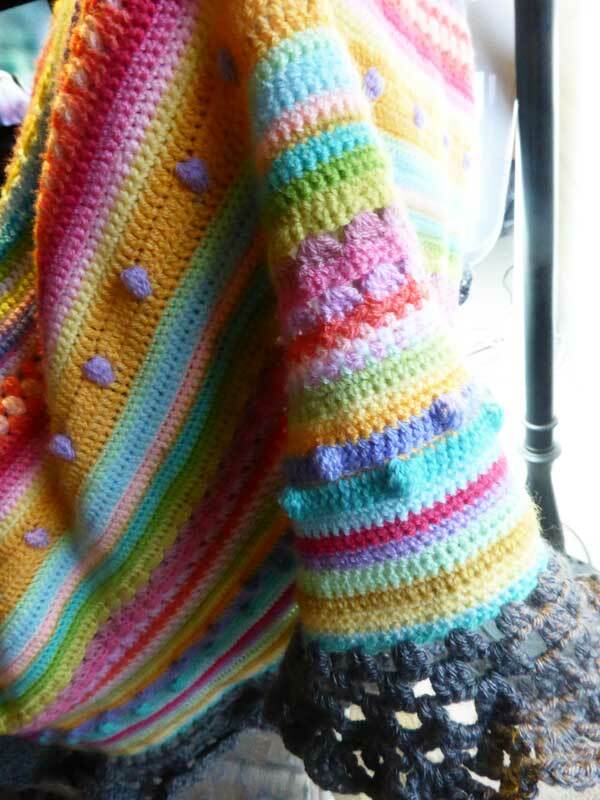 1) Be inspired by the marvellous blanket crocheted by Julie of Little Woollie. 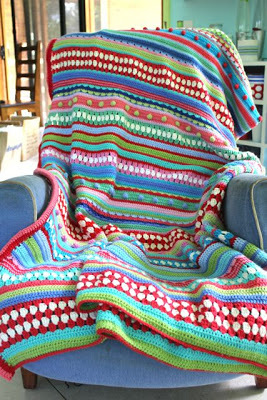 2) Whip up a blanket of your own. That’s the first few rows of my second stripey blanket to the left, and part of the first one on the right, under the bits and pieces of a wreath in progress. I have used 8-ply or DK yarn and a 4mm hook. 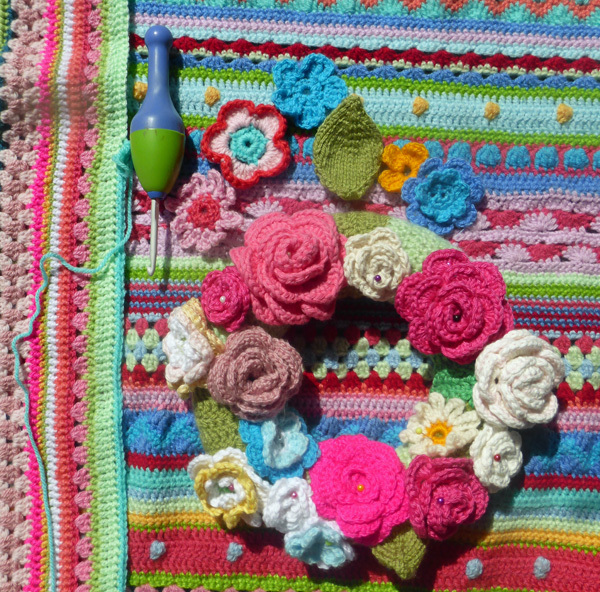 Notice the beautiful red, pink and aqua flower next to the crochet hook? 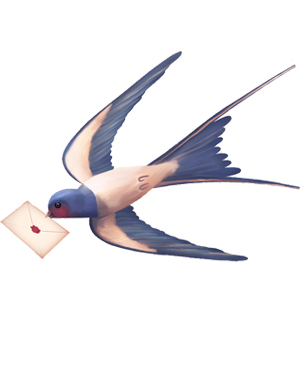 That was a little extra sent to me by Julie when I ordered some wool from her (overall excellent service by the way). 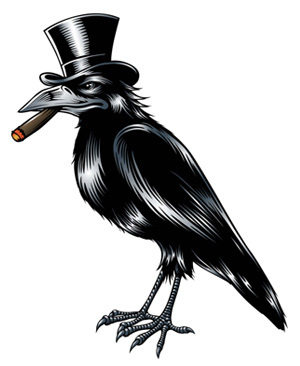 3) Now, this is the difficult bit. Add a lacey edging in an unexpected colour. Go round and round and round and round. Feel the boredom and do it anyway. Nike. Just crochet. After all, you have this example of how lovely this edging can look if you live long enough to finish it. 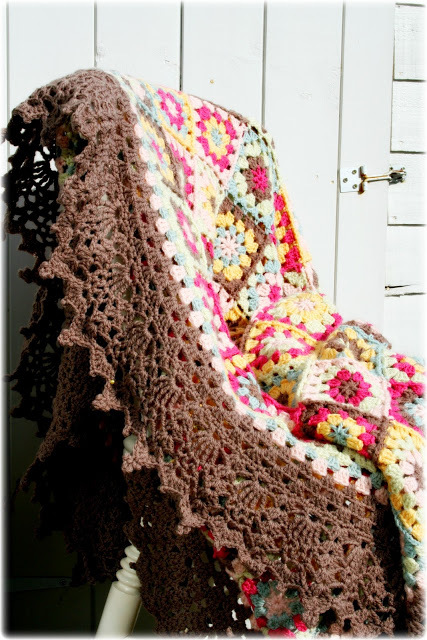 See this beauty called Evening Sun Blanket by made by Vanessa at Coco Rose Diaries (using a Doris Chan pattern for the edging). 4) Do another 6 zillion long long rounds and finish it. Ta Da! Easy! 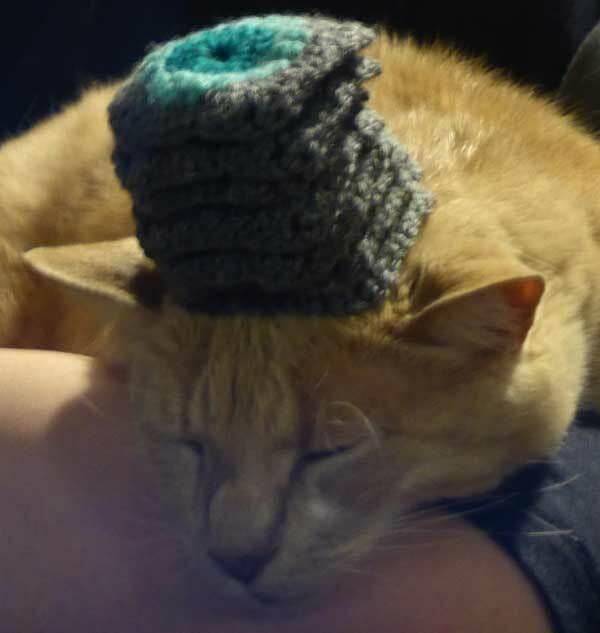 In case, like me, you are having trouble with step 4), here is a cat with granny squares on his head to cheer you up.